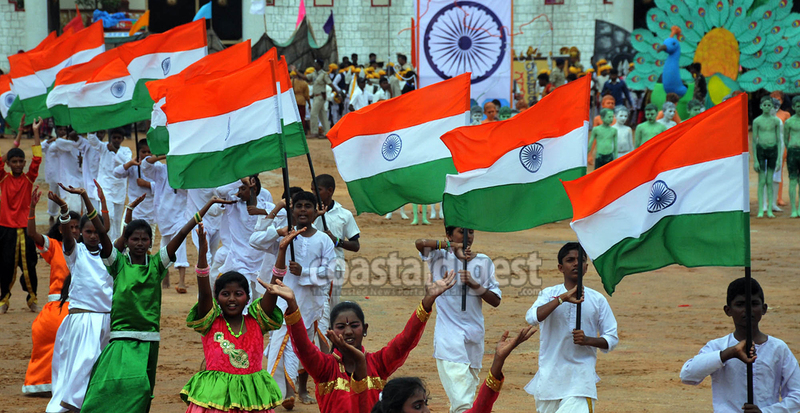 Students perform during Independence Day celebrations at Karwar on Tuesday. 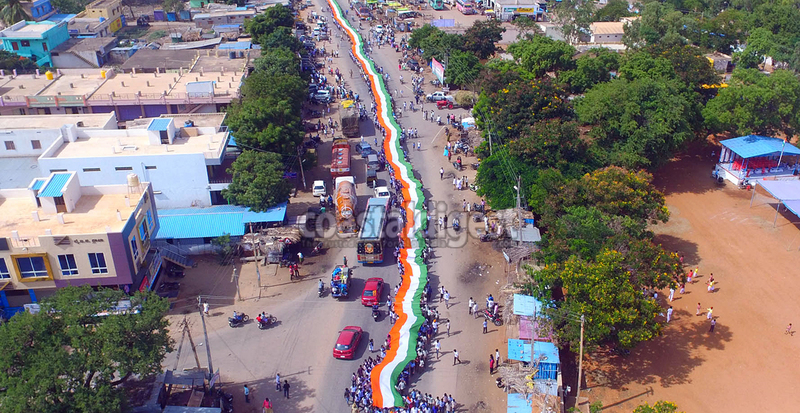 NSUI workers display 500 ft national flag during Independence Day at Rampur village Molakalmur Taluk in Chitradurga dist on Tuesday. 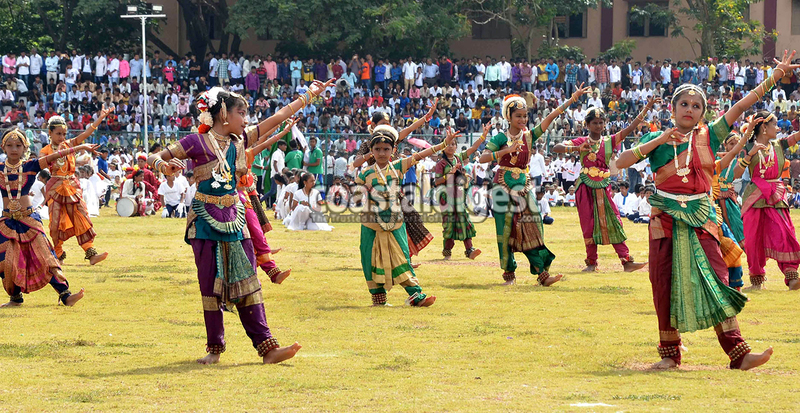 Students performs during Independence Day celebrations at Dharwad on Tuesday. 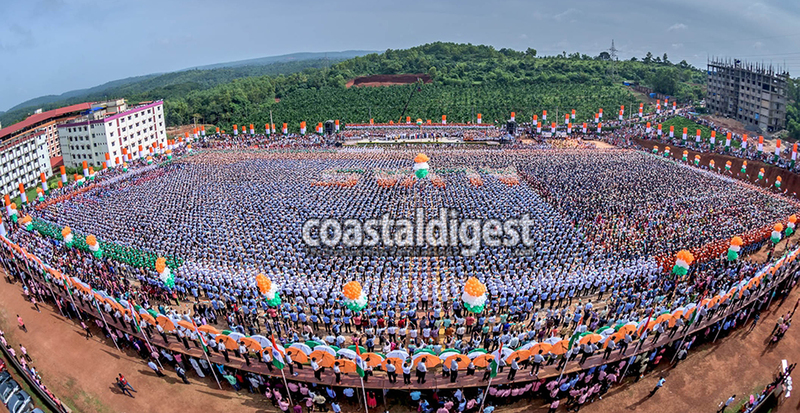 People display a huge National Flag during Independence Day celebrations in Mandya on Tuesday. 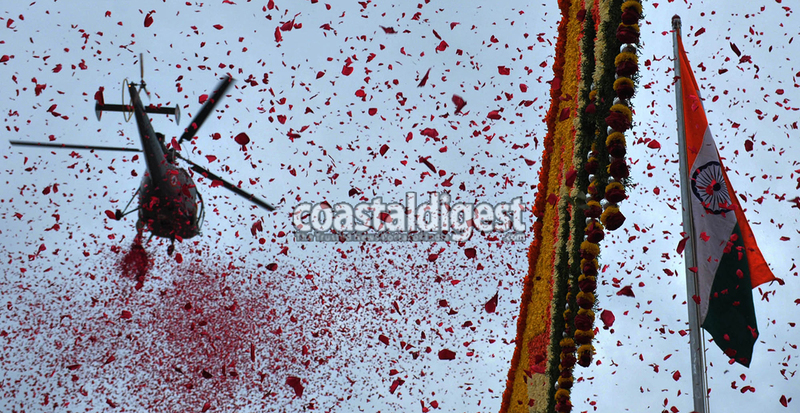 Flowers on tri-colour flag by helicopter seen during Independence Day parade at Manek Shaw Parade Grounds in Bengaluru on Tuesday. 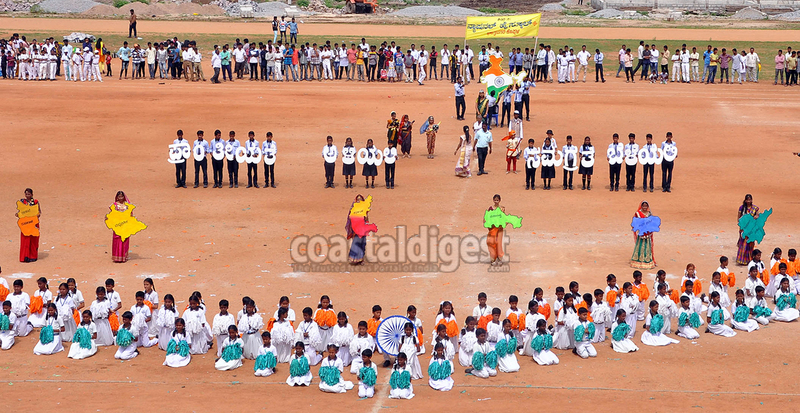 Children parade during Independence Day celebrations in Raichur at Dist stadium on Tuesday. 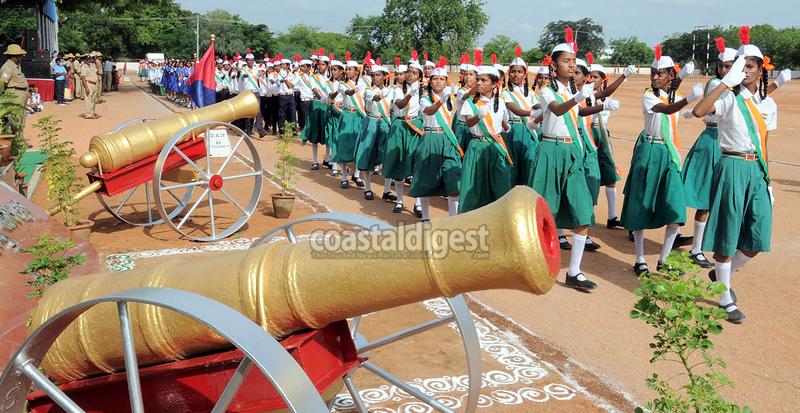 Students perform during Independence Day celebrations at Dist stadium in Mysuru on Tuesday. 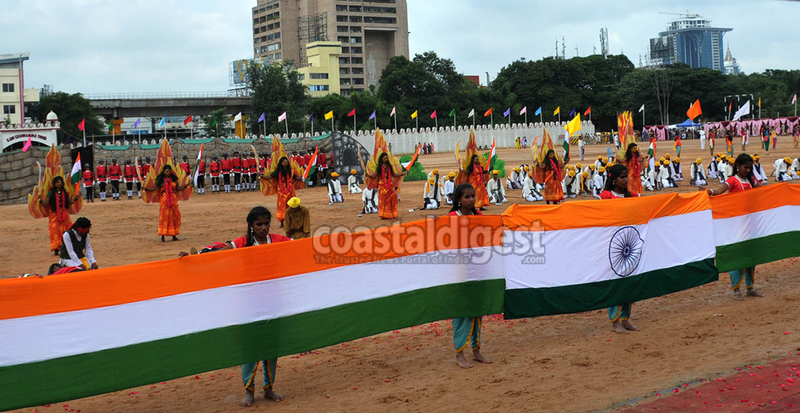 Koppal Students celebrate Independence Day at Koppal on Tuesday. 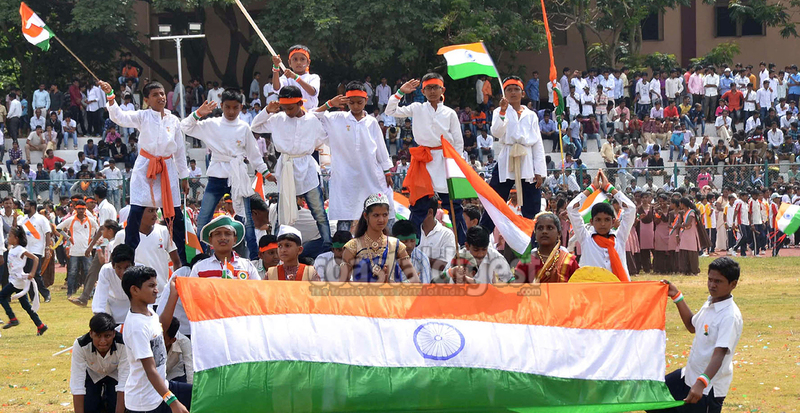 Students perform during Independence Day parade at Manek Shaw Parade Grounds in Bengaluru on Tuesday.